Creamed beet greens with coconut milk. Sweet potato mash. Chickpea hummus with white miso. Three bean salad. These are the dishes—which could easily be tasty vegetarian options on a restaurant menu—that Irene Li, chef and co-owner of Boston’s Mei Mei, prepared for a group of seniors at the Brookline Senior Center a few months ago. The easy-to-make recipes were examples of cooking affordably and healthfully using basic pantry ingredients and seasonal produce. Li’s cooking demo and other similar classes were created by Lovin’ Spoonfuls, a Boston-based nonprofit organization that rescues and distributes fresh food that would otherwise go to waste. 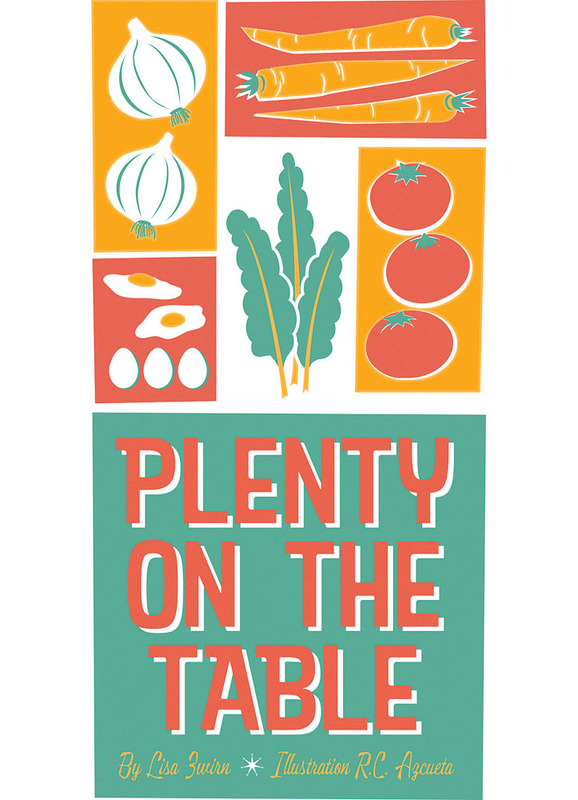 The classes are part of its Plenty program, intended to teach people, many of whom are recipients of rescued and pantry foods, how to use what they receive in the most effective (and delicious!) way possible. Given that Lovin’ Spoonfuls’ mission is to steer good, healthful foods to those who need it, making sure those foods aren’t wasted once they’re distributed to beneficiary agencies became a logical extension of the organization’s strategy. That’s where the Plenty classes come in. Operations manager and Plenty coordinator Meg Kiley says that after working for a year as a Lovin’ Spoonfuls driver, collecting food from supermarkets, farms, a few corporate and college cafeterias and restaurants, she realized that not all recipients knew “what to do with the food once we dropped it off.” Sometimes it was a vegetable like kohlrabi or an unusual squash that people weren’t familiar with. Or it was a head of broccoli or cauliflower with some brown spots that would be better roasted, steamed or incorporated into soup than served raw in a salad. Kiley explains that practical storage, preparation and/or cooking instructions are critical for avoiding yet more waste. In Plenty classes, attendees learn easy, nutritious, inexpensive and low-waste preparations for both perishable items and staples. The food collected by Lovin’ Spoonfuls, which is one of a handful of food rescue organizations in the Greater Boston area, is distributed to over 120 beneficiary agencies, including shelters, soup kitchens, food pantries and senior and after-school programs. (Its largest beneficiaries are Catholic Charities, Pine Street Inn and the Salvation Army.) Partnering with area chefs and nutritionists, Plenty workshops feature topics relevant to specific beneficiaries and their clients. For example, because many recipients have limited kitchen appliances, Brighton’s Charlesview Community Center hosted a microwave cooking class led by Tiffani Faison, chef and co-owner of Tiger Mama and Sweet Cheeks. A nutritional cooking-on-a-budget workshop geared to seniors was taught by Whole Foods Market healthy eating specialists at ABCD Parker Hill, in Roxbury. At Waltham Boys and Girls Club, Joshua Smith, owner of Moody’s Delicatessen & Provisions, taught a class on nutritional holiday dishes to families receiving Thanksgiving turkeys. The first Plenty class, two and a half years ago at the Brookline Food Pantry, was led by Suzi Maitland, executive chef of Trina’s Starlite Lounge, Audubon and The Paddle Inn, with a focus on cooking seasonal vegetables. In addition to cooking demos, Lovin’ Spoonfuls has produced four videos, which are available on its website: microwave cooking with Tiffani Faison; no-waste vegetable cooking presented by Louis DiBiccari, chef-owner of Tavern Road; whole ingredient cooking with Karen Akunowicz, executive chef of Myers + Chang (in her case, how to stretch one roast chicken into three different meals); and using pantry staples with Bissonnette. Videos are available in English, with Spanish subtitles. At every workshop, recipe cards are available in English, Spanish, Portuguese, French and Mandarin. In both Li’s and Bissonnette’s classes, the chefs demonstrate how plentiful herbs and spices can turn bland foods into flavor-packed dishes. Those little plastic packages of fresh herbs are pricey, says Li, so she suggests growing small potted plants of hardy varieties like rosemary, thyme and oregano. Her sweet potato mash gets a liberal sprinkling of fresh thyme. The sweet potatoes she brings are small, narrow fingerlings. A woman in the audience asks why she is using such skinny potatoes. “Because our farmer offered them to us at a cheaper price,” says Li. The chef suggests turning leftover mash into a dip (mixed with hummus), or soup (thinned with water or stock) or tossing it with pasta for another meal. Adding nuts contributes protein and crunch, she says. As samples of creamed beet greens make their way around the room, one woman says she usually finds cooked greens bitter, but these aren’t. “A little bit of salt and something with creaminess helps with the bitterness,” says Li, who employs coconut milk instead of fattier and more expensive heavy cream. “To balance a savory dish, sometimes a pinch of sugar helps,” she adds. At the Salvation A rmy, al l eyes are on Bissonnette as he adds a variety of ingredients to the pot of Indian dal, including (pre-soaked) brown lentils, onion, tomatoes, red bell pepper and squash. Giggles are audible as he tosses spices—handfuls, not spoonfuls—into the mix. The parade includes black cardamom, green cardamom, star anise, cinnamon stick, cumin seed, mustard seed, curry powder and the Middle Eastern blend, baharat. Next, the Moroccan tagine comes together with chickpeas, sweet potatoes, broccoli stems, radishes, golden raisins, cilantro, scallions and sunflower seeds. As he chops squash (delicata, with the skin on) and a sweet potato, he cuts some into bigger chunks so the dish has plenty of texture. “A lot of the feeling of fullness comes from texture,” he says. One woman asks why he didn’t peel the potato. “When it cooks, it will have the texture of braised pulled chicken,” he says. One can see that Bissonnette is expert at making these kinds of big-pot, multi-ingredient stews. “I may be a professional chef, but I cook like I’m in a dorm room when I’m at home,” he says. He recommends freezing leftovers in small containers for future meals. And best of all for this audience, it was easy, took relatively little time and used accessible ingredients.